X-Men: Days of Future Past is just 24 days away from release! Today, we get a new image that teases Kitty Pryde's time traveling abilities, as she prepares to send Logan back to the 70s. 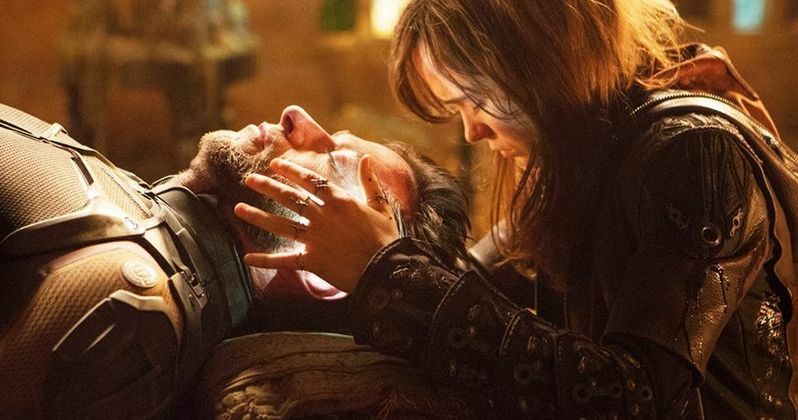 Check out Hugh Jackman and Ellen Page as they set up the story behind this latest franchise sequel, which finds Wolverine meeting Charles Xaver's First Class for a mission to stop Bolivar Trask from introducing his new line of mutant killing robots The Sentinels. Can the future be changed? Only in theaters this summer.